Step into this beautiful, updated home! Featuring new flooring as well as updated quartz counters and Wolf cooktop in the kitchen. Lots of windows throughout this home give it a unique design and optimize light and space to make the home feel open and bright. Enjoy an early morning sunrise from the covered porch or evening sunset over the open field that meets the landscaped back yard. This spacious home has a bonus loft space upstairs, space for an office or 5th bedroom on the main floor, and a full basement that is ready to be finished. 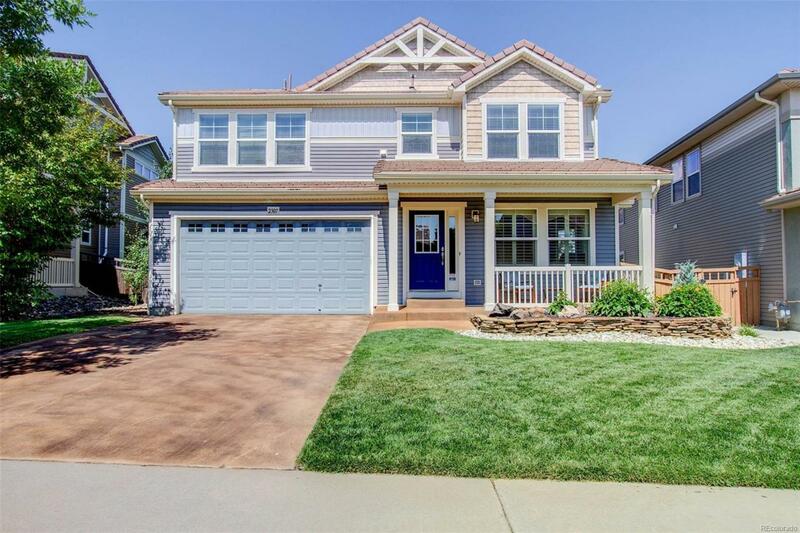 Enjoy all that Colorado has to offer in this well-established community that is close to walking trails and Ridgeway Open Space; community amenities include swimming pool access in the summer, as well as the community center and playground.